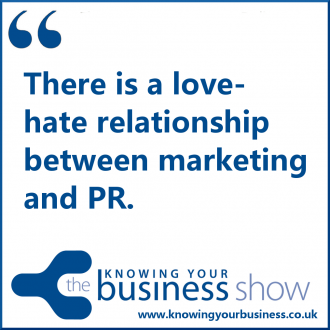 On this Knowing Your Business Radio Show we discuss how PR and Marketing works. Especially in the digital age. Isn’t advertising the domain of marketing? 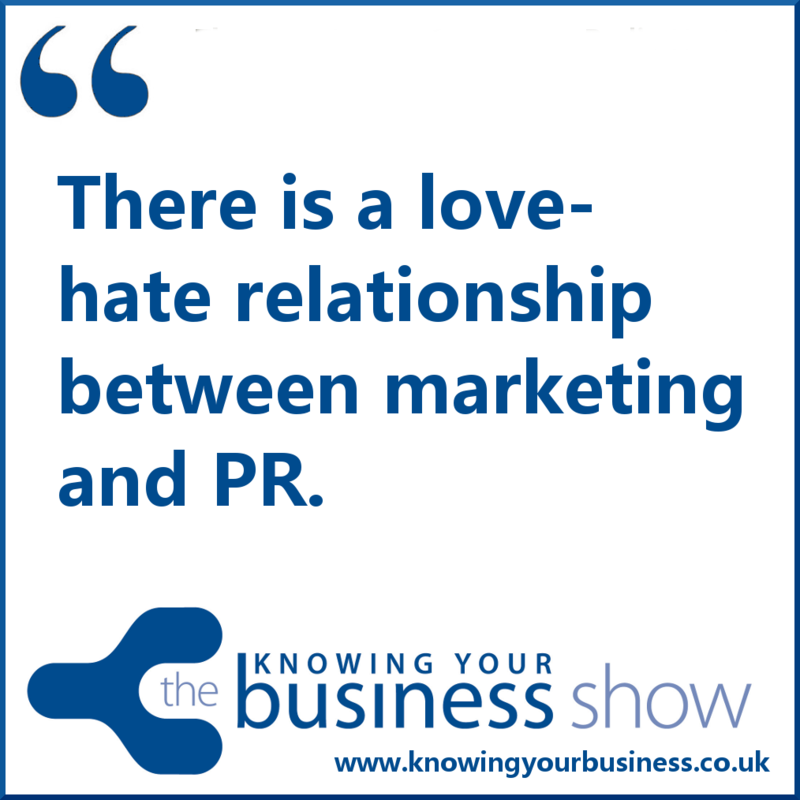 There is a growing love-hate relationship between marketing and PR. While it’s suggested both marketing and PR are at their best when used together, many professionals feel that they need to choose one or the other. We’ll discover how the new PR relationship with marketing works in this new business communications age. Our guest experts are Sallie Bale, Jonathan Bannister, Graham Parker and Viv Oyolu. All the radio interview podcasts are available further down this page for 7 days from the date of broadcast. Founder Sallie Bale comes from Top 10 global PR agency Hill & Knowlton, and is a member of PR governing body CIPR. She works closely with a handpicked pool of top freelancers, as well as sister company Fanatica, which specialises in digital marketing. Nearly 20 years experience in PR, Marketing and communications. A former broadcast TV journalist who has transferred his skills to helping businesses and organisations develop profitable relationships with people important to their success. Graham has been running his award winning PR and Marketing services agency for over eleven years. He aims to build the company’s reputation as a leading provider of first-class services that work for his clients. Started a social enterprise in 2006, but after losing a contract, got in to radio presenting with her show Dream Corner in 2011. That led Viv to set up Audio Byte in 2012. Viv started Audio Byte when noticing the impact and value the audio interviews she did on the show offered guests – especially authors on the show. Viv knew entrepreneurs were writing books, and she felt interviews would be a good way to promote them. It was a new concept and not many people understood how it’d work. Viv also started covering events and providing feedback for the hosts, and conducting business interviews showcasing their expertise. Not everyone could afford Viv’s services so she wanted to give entrepreneurs access to those skills, and has gone on to create the 15-Day Audio Challenge under Audio Content Creation and decided to create Author Radio Show specifically for authors. The Book is coming out in April and Viv is planning an online launch.